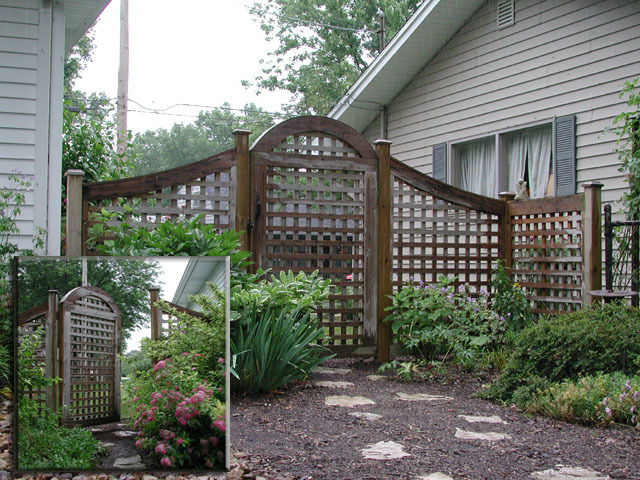 This Good Neighbor® square lattice gate was designed to create a contrast in the fence line. It is framed in similarly to the Good Neighbor fence. Heavy latches and hinges are used to prevent the gate from sagging. Please note that this fence and gate do not come prepainted. The Elyria Fence Co does not provide a painting service. However, we would be happy to recommend the name of a painter.